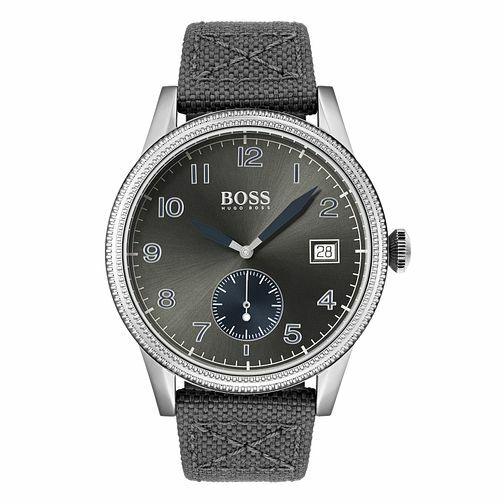 The Legacy men's watch by Hugo Boss boasts a 44mm stainless steel case, grey sunray brush dial and grey fabric strap complete with BOSS buckle. Featuring arabic numeral hour markers, a seconds subdial and a date display window at the 3-o-clock position, the dial is presented within a textured bezel. Casual yet smart, the ideal wristwear for the modern male.